If you are new to the Annapolis area, join us! You’ll enjoy fun activities, enlightening programs and interesting people with diverse backgrounds from all over the world. New Annapolitans is a social club formed to welcome new residents to the Annapolis area and to help them assimilate into the social, cultural and civic activities of the community. We were established in 1985 when our founders placed an ad in the local newspaper eliciting interest in forming a newcomers’ organization. The club has thrived and grown ever since, and currently has more than 650 members. We hold regular monthly meetings, each including an informative, entertaining program of interest to the general members. These meetings are held on the first Wednesday of each month (except February, July and August) at 10 a.m., preceded by a social gathering starting at 9:30 a.m. Prospective members interested in learning more about us are invited to arrive at 9:15 a.m. After each meeting, attendees may join other members for an optional luncheon at a local restaurant. Meetings are held at the Unitarian Universalist Church of Annapolis, 333 Dubois Road, Annapolis 21401 (off Bestgate Road). We also host special members-only luncheon events each February, when we celebrate New Annapolitans’ birthday, and June, when we fete the incoming and outgoing club president and board. Members also organize and participate in a wide array of smaller groups centered on their special interests (our “Interest Groups”). Interest Groups are where friendships happen. As a member of New Annapolitans, you may participate in the Interest Groups of your choice–or start a new group. Interest Groups may change over time but typically include activities such as: book discussion groups; bridge and other table games; couples gatherings; luncheons, happy hours, wine tastings and dinner events; music, writing and needlework; walking, sailing, golf and tennis; cultural excursions and charitable endeavors. Please see the “Interest Groups” tab on this website for a complete list. Our newest members enjoy a special place in our organization. For their first year in the club, they may be assigned a “Big Sister” who can serve as a resource person to help them settle into the community. 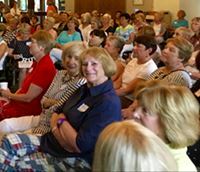 Big Sisters also host special monthly gatherings in their homes that are open to all new members during their first year with New Annapolitans. Read more about Big Sisters and Little Sisters at right. Members can get involved with our organization in many rewarding ways. New Annapolitans’ officers, chairpersons and committees work behind the scenes to arrange meeting programs, welcome new members, coordinate Interest Groups, track our membership, manage the club’s finances, produce a monthly newsletter, handle publicity, oversee the New Annapolitans website, plan special luncheons, document our history, provide refreshments and serve as Big Sisters. New Annapolitans follows Anne Arundel County’s Inclement Weather Policy. When schools are closed, open late, or close early, our general meeting will be canceled. A message will be added to our phone recorded message (410-216-6000) if you wish to verify cancellation of the general meeting. All membership information in our membership directory, including names, addresses, phone numbers and email addresses, is only for the business of New Annapolitans. Membership information may not be used or made available for personal gain, commercial or solicitation purposes. Members should not use any aspect of their New Annapolitans affiliation for unauthorized promotion of businesses, events, viewpoints, charities or other organizations. New Annapolitans (NA) is a social club classified by the IRS as a 501(c)(7) nonprofit organization. Members should note that New Annapolitans is not classified by the IRS as a charitable organization. Dues to New Annapolitans are not tax deductible; neither are donations made directly to NA. NA does not qualify for tax deductible contributions of any kind. The New Annapolitans Community Outreach Interest Group supports selected charities. This support may include encouraging NA members to donate directly to these charities, which typically do qualify for tax deductible contributions. Such direct donations may be tax deductible, subject to all IRS rules governing charitable contributions. If unsure, a member should consult with the applicable charity and, if necessary, a qualified tax advisor. New members of New Annapolitans have the opportunity to participate in the Newcomers Big Sister/Little Sister Program. Each newcomer is assigned a Big Sister once they become a member. Newcomers (anyone who has been a member for less than a year is designated a newcomer), are invited to attend monthly events (coffees or teas) that occur on the third Thursday of each month, except August. Coffees are normally held in the morning from 10-12 a.m. Teas are normally held in the afternoon from 1-3 p.m. The monthly times and locations may vary but the details are announced each month in the Vice President of Newcomers section of the newsletter. Newcomers also receive a monthly invitation from the Big Sister assigned to them. The monthly coffees and teas help members meet other newcomers and their Big Sisters, hear about activities/events in and around Annapolis, learn more about some of the numerous interest groups that comprise the backbone of New Annapolitans and explore opportunities for their participation in our club. Note: Nonmembers are not eligible to attend a Newcomers event.